Cylindrical two-tiered brass chandelier featuring rectangular resin shades. Tiered polished nickel chandelier with clear and amber Murano glass tile details by Mazzega. 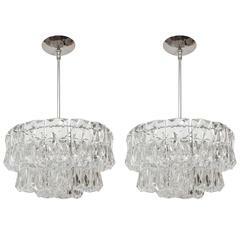 Three-tiered chandeliers composed of hexagonal, facet-cut crystal elements. 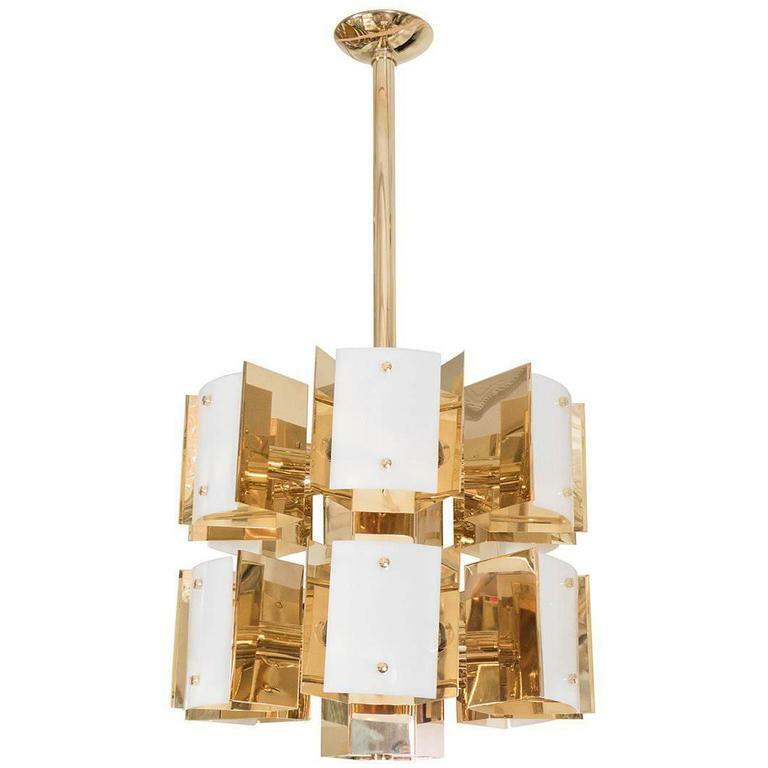 Rectilinear brass fourteen-light chandelier with Lucite details. 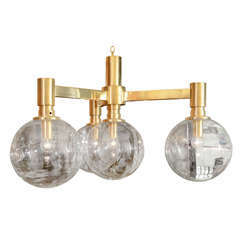 Brass three-arm spoke form chandelier with four large clear glass spherical shades. This large and modern chandelier is reminiscent of an opulent Art Deco style. With twelve lights, this imposing fixture is made with etched glass plates for an extraordinary effect. A very fine ornate 12 branch two-tier Dutch Baroque style brass chandelier, surmounted by a crown and with a central baluster stem. Converted to electricity, late 19th century.